A diplomatic row is simmering between Uganda and the United Arab Emirates (UAE). The Arab country has reportedly demanded an apology from Kampala for criticisms leveled against it by MPs recently. “They are threatening sanctions against us; they may deny us entry visas into UAE which may adversely affect the economy,” Nakifuma MP Robert Kafeero Ssekitooleko told The Observer on Monday. President Museveni meeting with UAE vice president Sheikh Mohammed during his visit last year 2016. 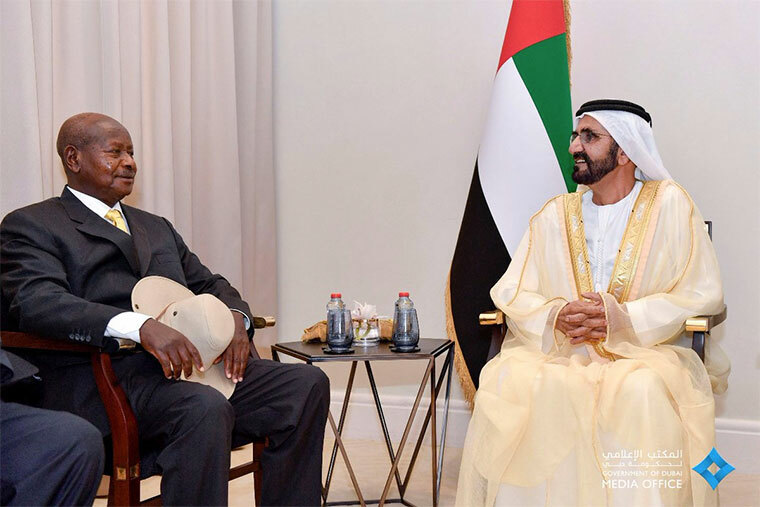 Mr Kafeero, who is known to have considerable working knowledge of what government business occupies minds inside State House from time to time, said the UAE wants Uganda to say sorry. The UAE first summoned Uganda’s ambassador Nimisha Madhvani who is said to have been the source of the April 18 comments by MPs about the UAE government which they accused of overseeing slavery and trafficking of Ugandans. The MPs led by Butambala representative Muhammad Muwanga Kivumbi voiced their concerns during a meeting of parliament’s committee on Defence and Internal Affairs that was interfacing with Internal Affairs minister Gen Abubakar Jeje Odongo. Basing on findings of their recent trip to Abu Dhabi, one of the seven emirates that make up UAE, Kivumbi told Odongo that the MPs visited a slave market and learned with shock how Ugandan girls were being sold like commodities. Owing to the harsh conditions, Kivumbi said, at least 16 girls had committed suicide over the last seven months. Kivumbi’s statements were received in bad faith by Abu Dhabi where Uganda’s ambassador was summoned by the authorities. She was later hurriedly recalled by her bosses at the ministry of Foreign Affairs in Kampala. Madhvani was asked to hand over to Sam Omara, the embassy’s charge d’affaires. The developments have distressed President Museveni who was expecting to host his UAE counterpart Sheikh Khalifa bin Zayed Al Nahyan. Late in 2014, Museveni visited Abu Dhabi and held talks with Al Nahyan for bilateral cooperation in oil sector exploration, the development of the crude oil pipeline and capacity building for Ugandans engaged in the exploration of the oil industry. The Abu Dhabi ruler was expected to reciprocate the visit but has since cancelled plans to visit Uganda, according to knowledgeable sources. But senior presidential press secretary Don Innocent Wanyama in a WhatsApp message said he was not aware of any such planned visit. The Observer, however, understands that Museveni last week met Speaker of Parliament Rebecca Kadaga at State House Entebbe and asked her to see how parliament can retract the statements which upset the UAE. Trade between Uganda and the United Arab Emirates has been growing with each passing year. Many Ugandans are now flying regularly to Dubai to purchase goods and merchandise which are available at competitive prices. As of last year, Uganda’s exports to UAE were valued at $468.8 million (Shs 1.7 trillion). Following her meeting with Museveni, Kadaga on May 11 summoned Muwanga Kivumbi over the phone to her office to persuade him to retract his statements. Kivumbi reportedly declined to meet Kadaga. Interviewed, Kivumbi said he was discouraged by the long queue of people waiting to meet her. “But I can’t retract my statements; the truth is, our girls are mistreated in UAE, we need to be working on how to make the conditions better,” Kivumbi said. This is an African female speaker of the Uganda Parliament who has no concern at all with the mistreatment of her own African gender make up! Samboyd as male gender, you do not belong to the female gender. You cannot have been in the human female market to know all that is hurting them. One has hope that since the speaker is female she has a better understanding about what the African female genders want in their trade in the rich countries of Islam. Otherwise she can as she is seriously doing, join the male gender and send her same gender to hell. The Ministry of health is in the process of formulating a policy targeting absenteeism and late coming among health workers in government health facilities, Dr. Ruhukana Ruganda, the Prime Minister has said. He said that the policy will also look at how medical workers can be motivated to be more attentive on their work. Speaking at the opening of a two day health sector leadership summit at Mestil hotel, on Wednesday, Rugunda said that ministry is currently grappling with issues of neglect of duty, absenteeism, theft and stock outs of medicines, poor governance, corruption, poor service delivery and shoddy work in the health infrastructure. He explained that medics’ absenteeism stems from late coming on duty and early departure from duty, negligence of duty, dual employment, inappropriate facility duty rosters and off duty guidelines and, study leave without authorization. 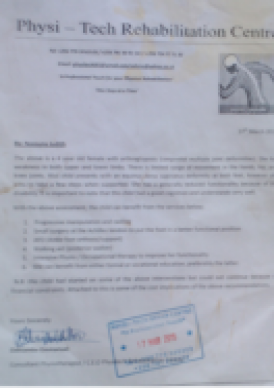 “How can we curb organised absenteeism of health workers and negligence of duty? Absenteeism cheats government of up to 40% of their time of employment. This malpractice affects the quality of patient care and destroys team work,” he said. 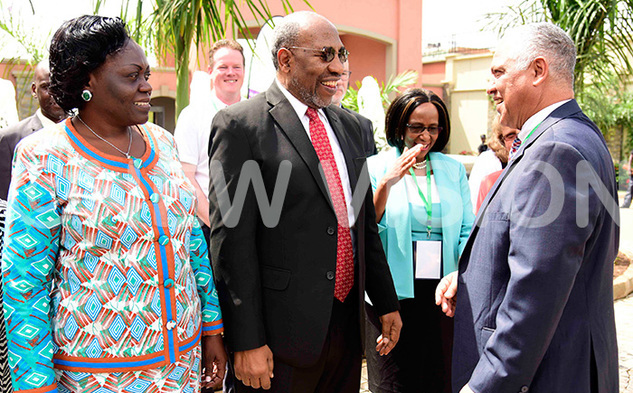 Rugunda asked the 40 different health focused organisations attending the summit to come up with practical solutions that the ministry will adopt as a motivational tool for its workforce. “Government will now await your ideas and recommendations, which we will include in the Ministry of Health Policy Paper. I am convinced that with all these brains and Human Resources you will generate a smart approach to improving Leadership among our Health Workers,” he said. Rugunda also lauded the Caring Together program that Baylor-Uganda is implemented in Eastern and Rwenzori region of the country to help improve the quality of the sector’s leadership. He noted that ever since the implementation of the program in 2015, there has been a 27% reduction in late arrivals, leading to a 42% reduction in client waiting time, a 13% increase in patients’ perceived quality of care at the facilities and a 15% increase in women’s perceived quality of care during antenatal care and delivery. “These results clearly demonstrate a great impact that simple training in key leadership competencies can have on healthcare service delivery,” he stated. Dr. Adeodata Kekitiinwa, the Executive Director of Baylor-Uganda stated that they started the programme after noticing that there was a leadership gap in the sector yet a lot was being invested in training technical skills. She said that they also noted that there was a big challenge of medics refusing to own up to their mistakes and taking care of what they have been given to do. “What we did was coming up with a training program that was specific on key leadership tenets like motivating people, keeping time, listening to people, holding monthly meetings and following up patients who are lost. These simple things have made a big difference,” she said. She noted when they instituted the electronic clock in system, medical workers started arriving early for work. She said early arrivals increased by 57% in the number of facilities while patient waiting time reduced by 42% and their satisfaction with the services improved from 30% to 60%. The program was implemented in 270 facilities across Eastern and Rwenzori regions from 2015 to 2018. It was implemented by Baylor in Partnership with Pepal, Janssen Pharmaceutica NV, Ralph and Ahrabella Lewis, the Cross Sector Leadership Exchange and funded by Comic Relief. Kekitiinwa said that they are planning to roll out the program to the other regions of the country and will tomorrow (Thursday) launch their leadership academy to train health officials. Sarah Opendi, the state minister for health, said revealed that though they have been providing health care for Ugandans, they have never paid attention to quality healthcare, noting that the program couldn’t have come at a better time. “Baylor has greatly improved the quality of care in our health systems. In places they have been, there is a huge difference in the quality of healthcare,” she said. She noted that they are now remaining with the challenge of motivating their human resource. Dr. Alex Coutinho, the Executive Director of Partners in Health in Rwanda, advised government to adopt a principle of praise in public punish in private (PPP) to motivate its health sector workforce. He said it is demeaning to punish a staff in public and likely to lower their motivation. He said that government also needs to adopt a sector wide approach whereby other sectors are also brought on board since they all have a bearing on one’s health. 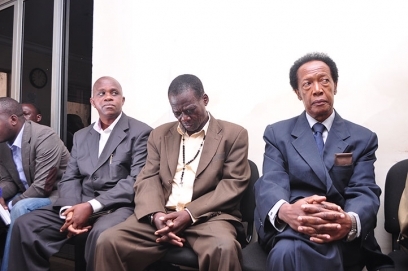 A Court in Kampala has convicted three senior government officials for embezzling $24.5 million (USh88.2bn) in pension funds. The Anti-corruption court found the former permanent secretary Jimmy Lwamafa, 61, former principal accountant Chris Obey and former Public Service director for research and development Stephen Kunsa Kiwanuka, 58, guilty of causing financial loss and abuse of office. The verdict comes four months after court dismissed a related charge involving some $44.9 million against the trio due to lack evidence. 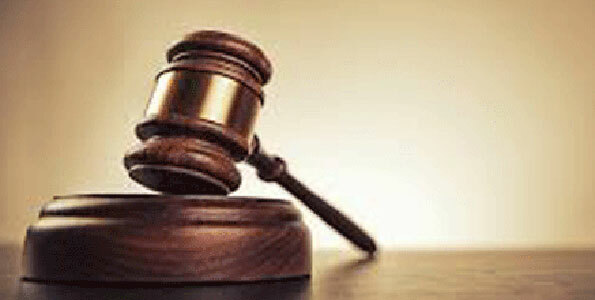 The ruling Friday morning followed a trial that dragged for over one and a half years. The trio went on trial in August 2015 on charges which included embezzlement, neglect of duty, theft and conspiracy to defraud the government, allegedly committed between 2010-2012. Presiding Judge Lawrence Gidudu, while convicting the three, said the money was syphoned out in a well calculated syndicate initiated at the Ministry of Public Service, modified at the Ministry of Finance, perfected at the Bank of Uganda and executed by Cairo Bank. The trio were sentenced as follows; Lwamafwa to 10 years, Kunsa to 5 years, Obey to 10 years and ordered to pay back $13.9 million. The state had argued that the $24.5 million was budgeted for as contribution to the National Social Security Fund (NSSF), an item the ministry ordinarily does not provide for. Police officers say some parents confess to abandoning their children. 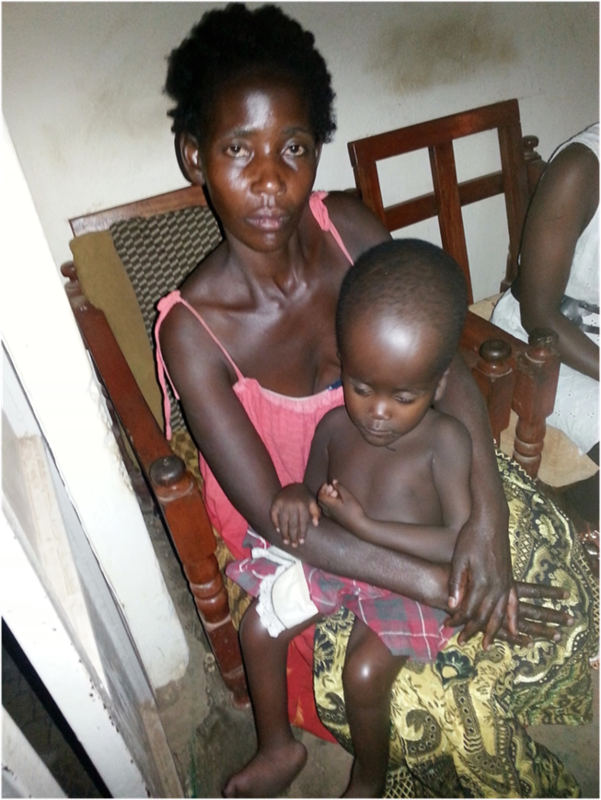 The high poverty levels which characterise several families in Luweero District have been linked to the rise in child neglect cases with several parents admitting before authorities that it’s the reason for abandoning responsibility over their own children. Recent statistics from the Family and Child Protection Unit at Luweero Central Police Station reveal there are more than 300 cases of child neglect recorded between January and November 2014 with more than 150 children found to have been deserted by their own parents and guardians. Kamira and Kikyusa sub-counties register the most child neglect cases, including children abandoned by their parents, according to Ms Francis Nyamitala, the officer in charge of Family and Child Protection Unit in Luweero. “Some of the children brought to the reception centre do not want to be reunited with their families after spending some few days at our Centre. The reason is that they are able to have a comfortable bed and guaranteed meals. Most of these children have been denied basic needs,” Ms Myamitala said. Mr Kamada Migadde, a resident of Kamira Sub-county, claimed he has seven children and four grandchildren under his care but only three of these are able to go to school because he cannot raise school requirements. The tour comes at a critical moment for America and the world. It began on the day that Republicans in the U.S. Senate voted for sweeping tax cuts that will deliver a bonanza for the super wealthy while in time raising taxes on many lower-income families. The changes will exacerbate wealth inequality that is already the most extreme in any industrialized nation, with three men – Bill Gates, Jeff Bezos and Warren Buffet – owning as much as half of the entire American people. She cried twice in the course of our short conversation, once when she recalled how her infant son was taken from her arms by social workers because of her drug habit (he is now 14; she has never seen him again). The second time was when she alluded to the sexual abuse that set her as a child on the path toward drugs and homelessness. 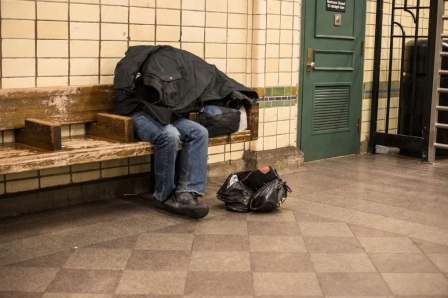 He has a sign up saying "Homeless Writers Coalition," the name of a group he runs to give homeless people dignity against what he calls the “animalistic” aspects of their lives. He’s referring not least to the lack of public bathrooms that forces people to relieve themselves on the streets. Of all the people who crossed paths with the UN monitor, Chambers was the most dismissive of the American Dream. “People don’t realize – it’s never getting better, there’s no recovery for people like us. I’m 67, I have a heart condition, I shouldn’t be out here. I might not be too much longer." It was a rare drop of altruism on the West Coast, competing against a sea of hostility. 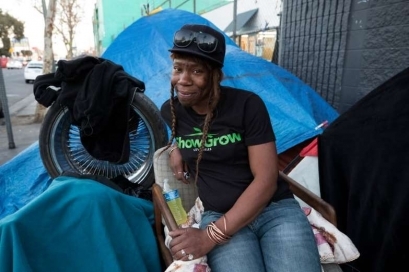 More than 500 anti-homeless laws have been passed in Californian cities in recent years. At a federal level, Ben Carson, the neurosurgeon who Donald Trump appointed U.S. housing secretary, is decimating government spending on affordable housing. As Tiny Gray-Garcia, herself on the streets, described it to Alston, there is a prevailing attitude that she and her peers have to contend with every day. She called it the "violence of looking away." Black people are 13% of the U.S. population, but 23% of those officially in poverty and 39% of the homeless. The crisis was revealed by the Guardian earlier this year to have led to an ongoing endemic of hookworm, an intestinal parasite that is transmitted through human waste. It is found in Africa and South Asia, but had been assumed eradicated in the U.S. years ago. Yet here the worm still is, sucking the blood of poor people, in the home state of Trump’s U.S. attorney general Jeff Sessions. When her group, Alabama Center for Rural Enterprise (Acre), pressed local authorities to do something about it, officials invested $6 million in extending waste treatment systems to primarily white-owned businesses while bypassing overwhelmingly black households. 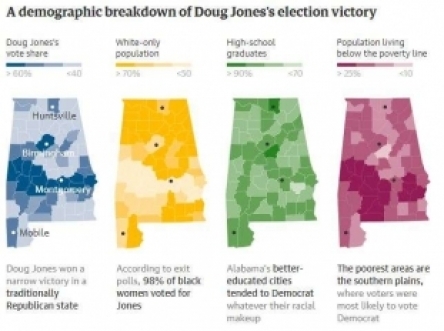 It depicted the army of African American voters who turned out against the odds to send Doug Jones to the U.S. Senate, the first Democrat from Alabama to do so in a generation. It delivered a bloody nose to his opponent, the alleged child molester Roy Moore, and his puppetmasters Steve Bannon and Donald Trump. It was arguably the most important expression of black political muscle in the region since King’s 1965 march. If the previous entries in the graphic could be labeled “soil”, “slavery” and “poverty”, this one should be captioned “empowerment." So how does Alston view the role of UN rapporteur and his visit? His full report on the U.S. will be released next May before being presented to the UN human rights council in Geneva. Nobody expects much to come of that: the world body has no teeth with which to enforce good behavior on recalcitrant governments. But Alston hopes that his visit will have an impact by shaming the U.S. into reflecting on its values. But Puerto Rico’s plight long predates Maria, rooted in the indifference with which it has been regarded since being acquired as a spoil of war in 1898. Almost half of Americans have no idea that the 3.5 million Puerto Ricans on the island are U.S. citizens, which adds insult to the injury of the territory having no representation in Congress while its fiscal policies are dictated by an oversight board imposed by Washington. What was that about casting off the yoke of overweening government? Nor do most people appreciate that the island has twice the proportion of people in poverty (44%) than the lowliest U.S. state, including Alabama (19%). And that was before the hurricane, which some estimates suggest has pushed the poverty rate up to 60%. The UN monitor was given a sense of what being a plaything of the U.S. means in practice when he travelled south to Guayama, a town of 42,000 close to where Maria made landfall. Devastation was everywhere – houses mangled, roofs missing, power lines drooping alarmingly overhead. Looming over the community is a coal-fired power plant built by the Puerto Rican branch of AES Corp., a Virginia-headquartered multinational. The plant’s smoke stack dominates the horizon, as does a huge mound of residue from the combusted coal that rises to at least 70 feet like a giant sandcastle. When such attitudes are replicated across the island it helps explain why so many Puerto Ricans are voting with their feet: almost 200,000 have packed their bags and quit for Florida, New York and Pennsylvania since the hurricane, adding to the more than 5 million who were already on the U.S. mainland. Which gives a whole new meaning to the American Dream – anyone can make it, so long as they abandon their families, their homes, and their culture and head off into a strange and forbidding land. Quite the contrary. When the UN rapporteur decamped in Charleston, West Virginiam on Wednesday as the final stop in his tour, he was inundated with evidence that the president is turning the screws on the very people who elected him. KAMPALA - Cpl. Nnalongo Alice Nakandi has been guiding traffic for over a decade now. Ugandans have described her as a “dedicated” and “committed” cop, who exudes a rare trait of professionalism whenever she is confronted by the always bossy Ugandan road users that share a general characteristic of bad driving skills. Yet despite her commitment, Nakandi had never been appreciated so generously by road users until she jumped from the jaws of death Wednesday this week. 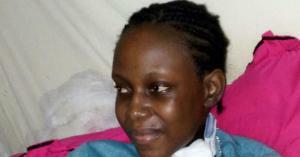 As she guided traffic along Bugolobi junction, a boda boda rider knocked her down. But a few minutes later, Nakandi was up, ready to resume her task. Henry Chemba, a road user, captured the moment and took to social media to share the photo of the traffic police officer, whose white uniform had been soiled. “A fake boda boda rider knocked down this hardworking lady cop. She fell down and stood up slowly through pain, but remained calm at work and didn’t leave her work place," he posted on his Facebook wall. Chemba’s photo has since gone viral, drawing thousands of comments. Most of the feedback is calling for the Police leadership to reward the mother of twins for her exceptional resolve to serve her country in the face of pain and near-death. In March this year, Cpl. Wilfred Tweituk, a traffic officer attached to Old Kampala Police Station, was knocked dead by a bus owned by Devine Bus Company, along Kabaka Njagala-Nabunya junction in Rubaga, Kampala. However, Nakandi, who is attached to Jinja Road Police Station, was lucky. 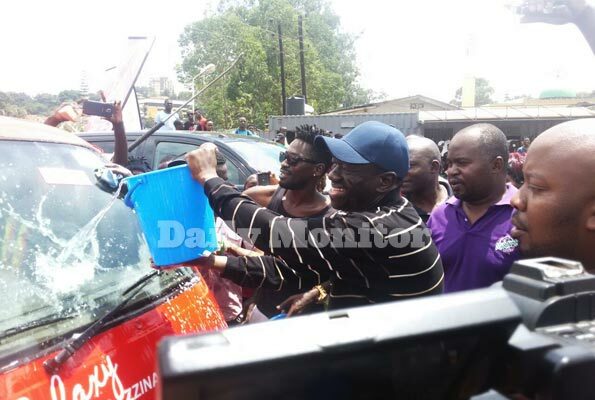 The day after the episode, she was upbeat and seemingly unbothered by the events despite the fact that some Ugandans were demanding that Police takes her to hospital for a check-up. For her, life has to continue. Meanwhile, the runaway motorcyclist remains just that - at large. On Thursday, Nakandi declined press interview requests, saying she needs express permission from her boss, Louis Kalenzi, the Officer-in-charge of traffic at Jinja Road Police Station. “I can’t speak to the media. You need to get a letter from my boss, the OC traffic at Jinja Road Police Station authorising me to speak to you,” she said during a brief chat at her Bugolobi station. When New Vision sought out Kalenzi for comment on Friday, he described Nakandi as “a hardworking lady” who takes her work seriously. “She works without any supervision. She is calm and conducts her work with extreme patience. She is a great officer,” he said. Replying to a Twitter post by user Hellen Mukiibi, the Police’s political commissar, Asan Kasingye, said the issue of a reward for Nakandi will be handled by authorities. In addition to the motor-vehicle fumes and all the dangers of her work one of these lady traffic officer said that she would never allow her daughter to join the police to do her work. She wishes her daughters to study hard and get a much more better job than hers. Indeed technology which Kampala, as an International city can afford, has removed traffic officers from such Drudgery Jobs. Nakisencia Kyompeirwe,27, told journalists on Friday that her husband abandoned her immediately after giving birth on Tuesday. Kyompeire with her triplets. Photo by Patrick Murangira. 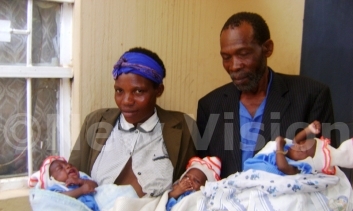 Francis Sabiti a resident of Kara, Muko, in Rubanda district has abandoned his wife who bore him triplets. She said she delivered the first baby Trust Taremwa at Kara Health centre II but was referred to Mutorere hospital in Kisoro after developing complications during labour. “When my husband learnt about the triplets, he abandoned me in hospital and fled,” she said. To rub salt in her wound, Kyompeirwe said that her husband rushed back from the hospital and sold all the house property and shifted to Kibare, where he spent all the money buying alcohol. “I cannot trace him. I have nowhere to stay and I am not sure how I am going to survive with the babies,” she said. State Minister for the Elderly and Disabled, Sulaiman Madada, says that older persons in Uganda are not discriminated against. Older persons from Uganda and other African countries have complained that they are discriminated against and denied their human rights. This is according to an organisation called HelpAge International, which is urging African heads of state to adopt a protocol on older people’s rights, at the 26th Summit of the African Union meeting in Ethiopia this week. “Older people across Africa can face harmful, negative ageist attitudes and behaviour,” a press release issued by the organisation said. Quoting Article 32 of the Constitution on affirmative action, State Minister for the Elderly and Disabled, Sulaiman Madada, however, clarified that older persons in Uganda are not discriminated against. He said that in 2009, a national policy on older persons was developed to ensure that the issues affecting them are addressed. Madada also cited the enactment, in 2013, of the National Council for Older Person Act which created colleges for election of older persons on councils, and the Social Assistance Grants for Empowerment (SAGE) programme. Older women and men, the release said, are also denied their human rights across different aspects of their lives. They are subjected to different types of violence and abuse, denied access to health care and an adequate standard of living and treated with disrespect because of their older age. In a study conducted by HelpAge International in Mozambique in 2012, the release noted that 74 per cent of older people surveyed said they had experienced at least one form of violence and abuse since the age of 50, 22% said their health needs had been neglected, 30% said they had been refused work while 27% said they had been refused a loan. 51% said that other people looked down at them and or treated them in a humiliating, shameful or degrading way. “This protocol provides a framework for governments to end ageism and discrimination against older people in Africa,” Head of Policy, Advocacy and Campaigns, HelpAge International, East, West and Central Africa, Jamillah Mwanjisi said. “Adopting the Protocol would be a significant step by governments and provide them with a framework to help them meet their human rights obligations towards people in older age. It also provides us with an advocacy tool which we can use to challenge the ageist attitudes and behaviour that occur at every level of society, from the individual up to large institutions,” he added. The protocol reaffirms the rights of older people in Africa and outlines what governments must do to protect them. It covers a wide range of rights including prohibition of all forms of discrimination against older people; access to justice and equal protection before the law; social protection, the right to make decisions and protection from abuse and harmful traditional practices. HelpAge International, based in London, helps older people claim their rights, challenge discrimination and overcome poverty, so that they can lead dignified, secure, active and healthy lives. Women in Saudi Arabia are registering to vote for the first time in history, more than four years after King Abdullah granted equal voting rights. They will be allowed to vote in municipal elections due to take place in December and can also stand as candidates. "[Voting is] a dream for us," Jamal Al-Saadi, the first woman to register in Medina told the Saudi Gazette. "[It] will enable Saudi women to have a say in the process of decision-making." Human rights campaigners have welcomed the move, but warn there is still a long way to go in the fight for gender equality in the conservative Muslim nation. Saudi Arabia has an abysmal human rights record, particularly with regards to protecting women. Although in recent years the rights of women have been incrementally extended, their actions are still severely restricted. "This long overdue move is welcome but it's only a tiny fraction of what needs to be addressed over gender inequality in Saudi Arabia," Amnesty International's Karen Middleton told The Independent. "Let's not forget that Saudi Arabian women won't actually be able to drive themselves to the voting booths as they're still completely banned from driving," she says. Saudi women need to be accompanied by a male guardian known as a 'mahram' whenever they leave the house. The guardian is often a male relative and will accompany women on all of their errands, including shopping trips and visits to the doctor. Such practices are rooted in "conservative traditions and religious views that hold giving freedom of movement to women would make them vulnerable to sins," according to The Guardian. In one extreme case, a teenager reported that she had been gang-raped, but because she was not with a mahram when it occurred, she was punished by the court. The victim was given more lashes than one of her alleged rapists received, the Washington Postreports. The Saudi Arabian government recently announced that it was considering lifting restrictions on women that would allow them to travel without the approval of their relatives, but human rights groups warn the move is likely to be vetoed by senior clerics. There is no official law that bans women from driving but deeply held religious beliefs prohibit it, with Saudi clerics arguing that female drivers "undermine social values". In 2011, a group of Saudi women organised the "Women2Drive" campaign that encouraged women to disregard the laws and post images and videos of themselves driving on social media to raise awareness of the issue in an attempt to force change. It was not a major success. Saudi journalist Talal Alharbi says women should be allowed to drive but only to take their children to school or a family member to hospital. "Women should accept simple things", he writes for Arab News. "This is a wise thing women could do at this stage. Being stubborn won't support their cause." Wear clothes or make-up that "show off their beauty"
The dress code for women is governed by a strict interpretation of Islamic law and is enforced to varying degrees across the country. The majority of women are forced to wear an abaya – a long black cloak – and a head scarf. The face does not necessarily need to be covered, "much to the chagrin of some hardliners," says The Economist. But this does not stop the religious police from harassing women for exposing too much flesh or wearing too much makeup. The dress code was extended to all female television presenters earlier this year. The king's advisory body, the Shoura Council, ruled that the women should wear "modest" clothes that do not "show off their beauty", according to Arab News. Reuters correspondent Arlene Getz describes her experience of trying to use the gym and pool at an upmarket Riyadh hotel: "As a woman, I wasn't even allowed to look at them ('there are men in swimsuits there,' a hotel staffer told me with horror) — let alone use them." Earlier this year, Saudi Arabia proposed hosting an Olympic Games without women. "Our society can be very conservative," said Prince Fahad bin Jalawi al-Saud, a consultant to the Saudi Olympic Committee. "It has a hard time accepting that women can compete in sports." When Saudi Arabia sent its female athletes to the London games for the first time, hard-line clerics denounced the women as "prostitutes". While they were allowed to compete, they had to be accompanied by a male guardian and wear a "Sharia-compliant" sports kit that covered their hair. "The mere thought of a disrobed woman behind a dressing-room door is apparently too much for men to handle," says Vanity Fair writer Maureen Dowd in 'A Girl's Guide to Saudi Arabia'. However, explains Dowd, everything in Saudi Arabia "operates on a sliding scale, depending on who you are, whom you know, whom you ask, whom you're with, and where you are". But things are slowly beginning to modernise in a country that has historically had some of the most repressive attitudes towards women. "Women in Saudi Arabia are highly educated and qualified," says Rothna Begum from Human Right Watch. "They don’t want to be left in the dark." The State Minister for Agriculture, Mr Vincent Ssempijja, has said lack of trained extension workers in agriculture sector is hampering efforts to develop the sector. The minister explained that farmers are not able to access information in time due to lack of specialists in the field. According to Mr Ssempijja, a survey conducted in six sub-counties of Kalungu District, showed that most farmers in remote areas cannot apply best practices in agriculture simply because of lack of extension workers, who should dispense the advice. The minister announced that government would recruit agriculture extension workers at village level to provide advisory services to farmers. Mr Ssempijja made the remarks while addressing agriculture stakeholders in Lukaya Town, Kalungu District on Tuesday. The meeting was organised by an NGO, Brac, to enhance nutrition projects. Brac country representative, Mr Muhammad Imran Bhuyiam, said they would promote the production of food crops and increase funding to communities to enhance family nutrition. Brac is providing capacity to farmers to demand extension services and influence the agricultural policies to benefit the small holder farmers. Mr John Pamba, the company’s senior public relations officer, said they had so far given out loans worth Shs1b to women groups and individuals. Mr Joseph Oryokot, a senior agriculture specialist at World Bank (WB), promised that WB would extend more funds to farmers through Brac. “When a pregnant mother is malnourished, even her baby suffers the same. The chances of such a child being successful in future are very minimal. As WB, we are ready to help farmers grow enough food so that malnutrition is eliminated,” Mr Oryokot said. Mr Florence Namatovu, a farmer, applauded the organisation for enabling her start up a potato vein project. Ms Justine Kihahire, the Kamuwunga Women’s Sacco chairperson, said she started with Shs100,000 but now her business is worth Shs1.5m. “I am able to look after the family and pay school fees for them. I have constructed a house and bought a plot of land,” she said. send him to secondary school. newvision news paper in Uganda. SOROTI – His teachers are celebrating and are due to hold a party for producing the first Division One pupil in last year’s PLE, but for Samuel Otobi, there’s little reason to rejoice. The 12-year-old was the only pupil among UPE-aided schools in the entire Gweri sub-county to pass in Division One but he says he is “going nowhere”. For him, it will be either to “repeat [Primary Seven] for the third time or to go fishing”. Despite excelling in the 2014 Primary Leaving Examinations, Otobi who attended Opar Primary School in Soroti, knows he will not progress to secondary school because his parents cannot afford to pay school fees for his Senior One studies. He scored aggregate 10 – the best aggregate is four – which is good enough for Division One. 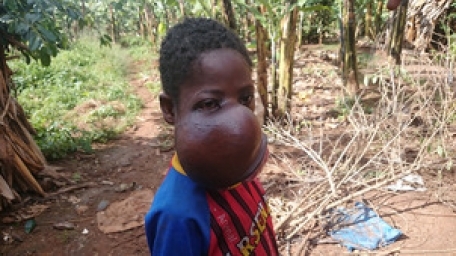 Otobi, who is the seventh born in his family, scored aggregate 19 in the previous PLE (2013) but his parents forced him to repeat because they were unable to raise tuition fees for his secondary school. He bettered that performance in last year’s exams, but Otobi is resigned to his fate of going no further in his academics. His peasant father, John Epiru, says he is blessed to have bright children and says he thanks God for that. “Last year I forced him to repeat because two of his brothers were joining PTC and Agricultural College respectively and the girl he follows was also joining S.1," he said. To supplement the family’s low income, Epiru’s wife brews local brew (ajon) for sale. Educating their children however remains a mountain-climb of a challenge. Yet luck has not been friendly to them either. "Last year I registered crop failure because the crops are my source of income towards education of my children. I request any Samaritan to bail me out. If I decide to take him for S.1 then it means one of his brothers has to remain home," Epiru said. On his part, Otobi dreams of becoming a teacher but such an ambition remains just a fantasy and in the absence of help (a Good Samaritan), his dream will sink in the Awoja swamp where he is resorting to fishing from. Stephen Egabu, the school head teacher, said that out of 104 pupils who sat for PLE, it's only Otobi they were sure would excel because he had scored 10 aggregates in the Mock exams. 43 of his colleagues passed in Division Two, 33 managed Division Three, 10 got Division Four while the rest failed. Seventeen-year-old Ritah (not real name) strained to walk; she was in immense pain and could hardly stand up. The gaping opening on her stomach had just been dressed by a nurse on duty. She reported to Hoima Regional Referral Hospital in April after she had had an induced abortion. 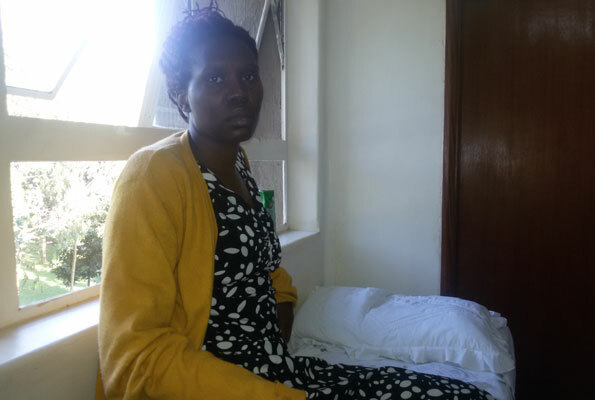 In an interview with Saturday Monitor, Sister Miriam Akello, the principal nursing officer at the hospital who has been attending to Ritah, said she went to the hospital with a lot of pain and could hardly sit. “When she learnt she was pregnant, she went together with the father of her baby and they performed an abortion. It was as though she had used a sharp instrument like a pair of scissors to pierce her uterus as a way of killing the baby,” Sister Akello said. Even after sewing back the damaged uterus, Ritah is still nursing the wound. Sister Akello said there is pus around the uterus that has to be squeezed out often. Ritah is among the approximately 90 girls that seek post abortion care every month at Hoima hospital. Sister Akello says there are two or three patients that seek post abortion care daily, with the highest number being induced abortions. “In medical terms, abortions mean both induced and non-induced in this case, miscarriages,” she clarifies. Induced abortions in Uganda are illegal. Chapter XIV of the Penal Code Act criminalises procuring an abortion or aiding in getting one. “Any person who, with intent to procure the miscarriage of a woman whether she is or is not with child, unlawfully administers to her or causes her to take any poison or other noxious thing, or uses any force of any kind, or uses any other means, commits a felony and is liable to imprisonment for 14 years,” the Act states. However, hospitals are allowed to offer post abortion care. Ministry of Health says 292,000 abortions are carried out annually in the country translating into 800 per day. With more than a half of them procured using crude methods. A 2013 report by the Centre for Reproductive Health Uganda attributed the high numbers of unsafe abortions to misconceptions among women that lead them to get stigma, fear and secrecy. Dr Francis Mulwanyi, the Hoima hospital director, attributed the numbers on unwanted pregnancies, especially since the men or boys responsible deny them. Dr Charles Kiggundu, the president of the Association of Gynaecologists and Obstetricians of Uganda, called for use of contraceptives. UGANDA, RAKAI/SEMBABULE. At least 306 girls were defiled in Rakai District last year, a new survey has revealed. According to the survey titled ‘Status on child protection in Rakai District,’ carried out by the district probation office, another 64 girls below 17 years disappeared from their parents’ homes and are believed to have engaged in early marriages. “According to the information we have, more than 3,362 children between the ages of 10 and 17 are already mothers as a result of early marriages,” the report reads in part. Speaking during the launch of the renewed campaign on violence against children including child sacrifice at Rakai District headquarters on Tuesday, Ms Suzan Nakawojwa, the district probation officer, said there is a lot of stigma surrounding defilement since some family members and people close to the victims are often the perpetrators. “Many victims choose to suffer in silence and do not report such cases to my office and police. This has somehow frustrated our efforts to fight this crime,” she said. The report further indicates that three children were reported to have died as a result of ritual sacrifice, two due to torture inflicted on them by their parents, 19 were abducted while six were stolen from their mothers. Ms Justine Nakayenga, the facilitator of child sponsorship and development at World Vision-Uganda, said they decided to re-energise their efforts due to the increasing violation of children rights. She said the new campaign will be rolled out in three districts of Rakai, Buikwe and Nakasongola and will focus mainly on the two most affected sub-counties in each district. “In Rakai, Kyalulangira and Lwamagwa were selected depending on the information released by National Population Census of 2014, which indicated that a total of 664 children married below the age of 17 as 600 children below the age of 17 from both sub-counties had given birth,” she said. Abaana abato ababazadde Abasiraamu bagaliddwa ku Police nabazadde baabwe! Some of the arrested children at Kira Division Police Station in Wakiso. Kampala. Six days since 24 children between two and 12 years were rescued from suspected terror cells, no one has come out to claim them. Addressing journalists at Kira Divisional Police headquarters, Police spokesperson Fred Enanga appealed to the public to provide information, if any, so that the children can be reunited with their families. On March 13, Mr Enanga says police officers raided the home of Hajati Mariam Uthman in Mpoma, Mukono District, and recovered nine children. The following day, Mr Enanga adds, police raided the home of former ADF operative Hajji Abdul Rashid Mbaziira in Namawojolo, Mukono District, where they recovered 14 children. The children claimed Mbaziira is their father. 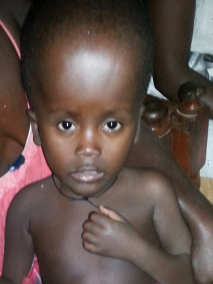 Police later rescued another child from Namayingo District. They suspect that all the 24 children were being radicalised. “They were being taught under facilities which are not recognised or licensed. The children were also hardened and indoctrinated by being told who their enemies are,” Mr Enanga says. Both Mbazira, who was granted amnesty in the past when it emerged that he had been part of the ADF and Uthman together with two others are detained in Nalufenya Police Station, in Jinja District for questioning. However, one of the children Daily Monitor interviewed said Mr Mbaziira was their father although they have different mothers. By age 14, Enanga said the children disappear mysteriously but an investigation was underway to find out their destination. Enanga also observed that investigations were still ongoing to find out if the parents of the children were either complicit or turned a blind eye to events that got their children here. Last year, Police raided several Madarasas which they said were indoctrinating children in the guise of teaching them Islam. 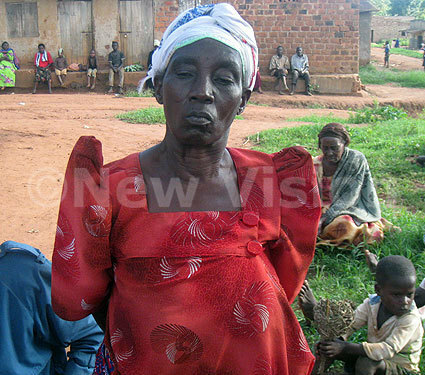 M/s Elizabeth Nandoola has of recent been accused by Police of practising witchcraft in Uganda. A 62-year-old woman has been expelled from a village over practicing witchcraft which reportedly led to the death of two residents and caused strange illness to others. Elizabeth Nandaalo, a resident of Nsaamu village in Kyali parish, Mpigi town council was early this week expelled from the village during a meeting presided over by Muhammad Kazibwe the village chairperson. 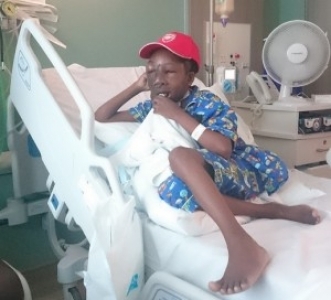 Nandaalo was accused among other things of casting a spell on Rosemary Nakibuuka wife to Semeo Tamale that caused her death, and also caused strange illness to eight residents who had misunderstandings with her. Semeo Tamale narrated to residents who had gathered in the meeting of how Nandaalo came to their home and found her wife cooking food and she started quarreling with her over their 12-year-old son who went to Nandaalo’s place and destroyed her property when playing with his friends. Tamale said that Nandaalo went ahead and warned them that they were about to witness something strange in their home and within a week his wife died under unclear circumstances. “She came at our home and quarreled with my wife and warned us that we were to witness something strange and within a week my wife who was not sick died under unclear circumstances” Tamale tearfully told the gathering. 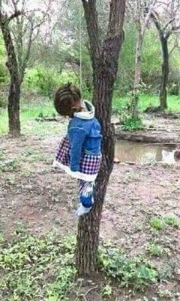 Residents tried to lynch Nandaalo but she fled and sought refuge at Mpigi police station and Inspector Joseph Musana the Katonga regional police commander in charge of community policing intervened and restored order at the village. Musana warned residents against taking the law in their hands because it will lead to the suffering of their families when they are put in prison. He however, sensitized residents about witchcraft and said it is a crime and anyone who engages in such acts is liable to a 10 years sentence uopn conviction. He advised them to usually report such matters to police for guidance because such misunderstandings have led to loss of lives of innocent people.